This Spring, wear your nails in style. Here are 30 gorgeous nail art looks to choose from! We love nail art, so much so that we heart it! That is how crazy we are about nail art, and given the chance and if we had the time, all year long and on each day we would sport a new nail art trend. Without much ado, and since we know you are over excited, we would like to share with you a couple of chic and haute nail art trends for spring 2017. Take a look at them all and get inspired. 1. For the love of florals: Since the season of spring is that of blossoming flowers everywhere, and while we bid the cold winter months adieu, why shouldn’t our nail art portray the same? Here are a couple of ideas for the spring nail art inspiration we found around. 2. 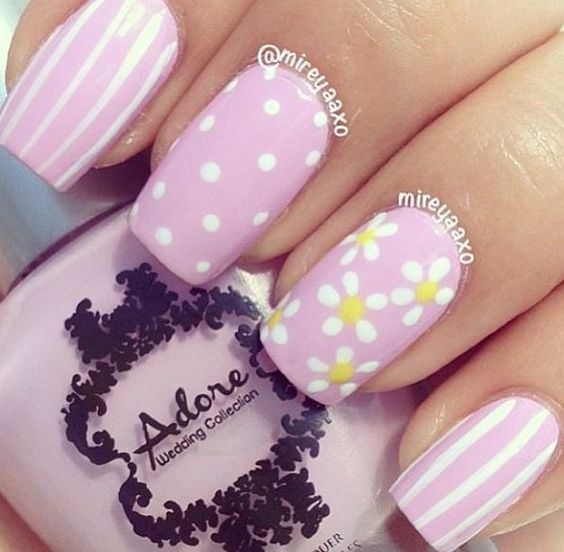 For the love of all things pastel: Pastel spring inspired nail art is quirky to look and feminine to feel. If you don’t want to be too loud with your nail art at work or maybe when wearing it to college, try the pastel touches in vibrant shades and hues to match up the fashionista status quo you are known for. Here are a couple of chic trendy ways to doll up your nails. 3. The classy glassy look for parties: This is a look in nail art that started trending in 2016 and hasn’t stopped ever since. The look is that of elegance for sure and creates an illusion of glass like feel for the wearer. If you love your fashion loud and about, and know how to carry the same for the many parties around- the glassy classy nail art look for spring 2017 is for you. 4. The elegant metallic spring touch: Party around or just hop from one pub to another; wear your nails like the queen of the night, in flashy metallic tones meant for spring. Colors are dark and sombre for the night, and pastel metallic for the day to early evening sagas. You get to choose what you want to wear! 5. Chunky spring inspired nail art: For the quirky yet fun loving lass that loves to flaunt her sassiness now and then, why should she be restricted to simple nail art designs? The chunky touch is what mesmerizes the many eyes around, which the fashionista knows all too well and would be willing to experiment a little more. 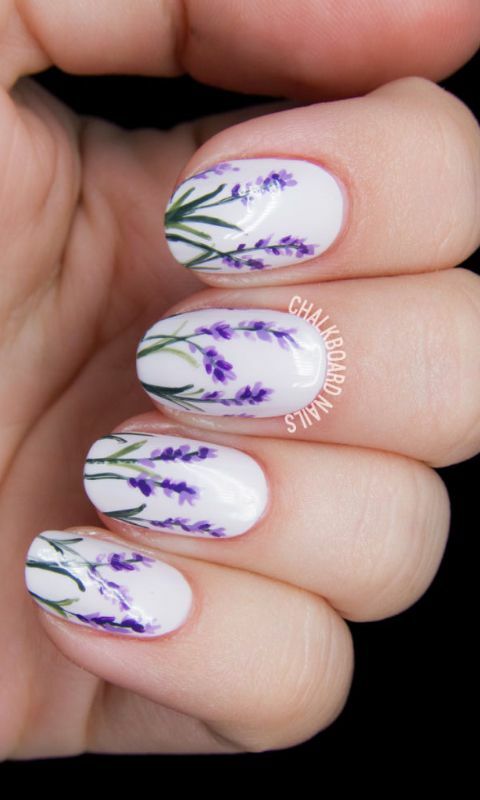 Here are a couple of spring inspired chunky nail art ideas to emulate. Excited already? So are we! Try them all out and let us know how you fared!